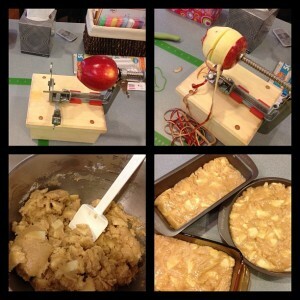 If you hate apples (like I do) you should really try this cake. Honestly if you left the apples out and added a little water I bet it would taste just as good…the batter is sooooo good!! So because I want to share it with you and I want to be able to access the recipe from the store I wanted to post this most delicious apple cake my grandmother always made for me. I would look forward to this cake every holiday and summer. Once she passed in 1995 I had no idea what happened to the recipe but once my mom got ill (2004) she gave me her cook book and I found this recipe tucked away inside! I was so excited and I make it once a year. I’m usually the only one that eats it but I eat on it for days. Today I decided to make it in several pans so I could share with neighbors…..hopefully, lol!! Mix 2 cups of sugar, 3 cups of flour, 1 teaspoon of baking soda, 1/2 teaspoon salt, 1 teaspoon cinnamon, 1.5 cups of oil, 3 cups of thinly sliced/chopped apples, 1 cup of nuts (can omit), 2 eggs, 2 teaspoons vanilla. Bake at 375 for 55 minutes or until center comes out clean. Well it’s nothing fancy but I wanted to put my chart out there. 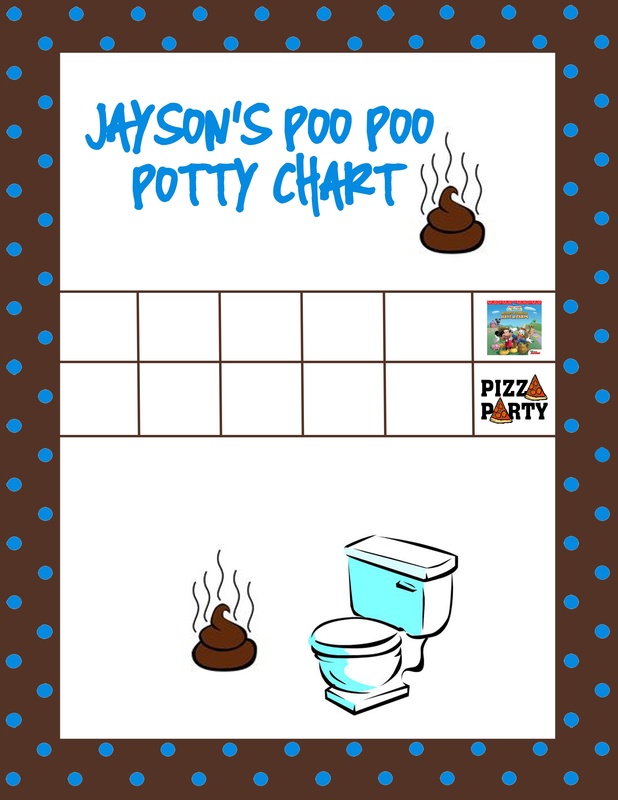 Because of Jayson’s age and he should be poo’ing daily I’ve made his chart a little bigger than you’d use to start someone out with. I also put a picture of his prizes on the last square. I decided that he still needed to check off that square to get his prize so he needs to poo in the potty a total of 6 times. I know the poo picture is gross but he’s very literal when it comes to things and I needed a good poop pic w/out actually taking a pic of real poop. So that’s what I got. If you’d like this potty chart shoot me an email @ messijessimail@gmail.com. You will need Photoshop or another kind of software editing program to edit the name and pictures. Well as you know (if you’ve been following me, lol) my littlest kiddo has High Functioning Autism. He attended school in Texas and missed 3 weeks before he started here (it took Washington a bit to figure things out I guess). Once he was in school I immediately saw him decline. The schools here are MUCH different than back home in Texas. They don’t separate out the different types of special needs here like they do at home. So we immediately saw outbursts that were not normal for him. We immediately tried to stop them at home and we’ve overcome most of them at this time. Now that school is out for summer and things are a bit more relaxed and in order around the house he’s starting to be more like himself. Jayson will attend summer school in 1 weeks so I’m kind of looking forward to getting him back into routine. And I’m actually glad. Even though I enjoy doing nothing and hanging around on the couch half the day I enjoy the busy-ness of life and look forward to getting back into a routine as well. We’ve had some firsts for him since we’ve been here too. 1) He started getting out of his bed on his own in the mornings. He use to wake up and call us into his room like he’s done forever. I think sharing a room with his brother in temp housing helped change that. So the best thing about that is we get to sleep in cause he’ll play or watch tv and let us sleep in a bit! And I absolutely LOVE how he comes into our room and tells us Good Morning…absolute cutest thing! 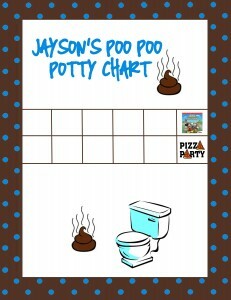 2) Now that i’ve been able to update his potty chart to a poo poo chart he’s poo’d in the potty a total of 7 times now! He’s already gotten 1 reward (after 6 times) and he’s only 5 away from the next one. I’m telling you…I’d give him the moon if it’d work! 3) Jayson’s never really liked ice-cream. Well about a month or so before we left Texas I was able to get him to eat frozen yogurt from TCBY. Other than that treat he doesn’t really like anything else. No other ice-cream, candy, cake, etc. Well 2 weekends ago I made pudding pops and he finally ate a popsicle! It was vanilla but hey, he ate it!! He’s requested banana so that’s next on the agenda. 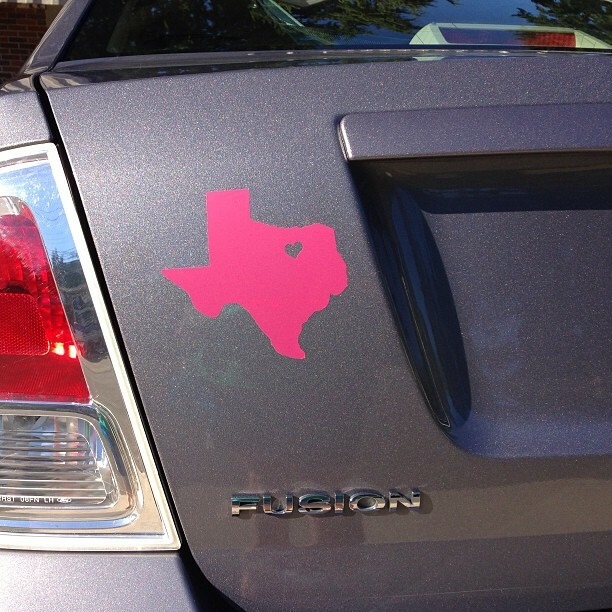 I hope for many more firsts…..I’m enjoying everyone of them. I know for many these firsts come way earlier than 4 yrs old but we’re learning to enjoy these firsts as they come..